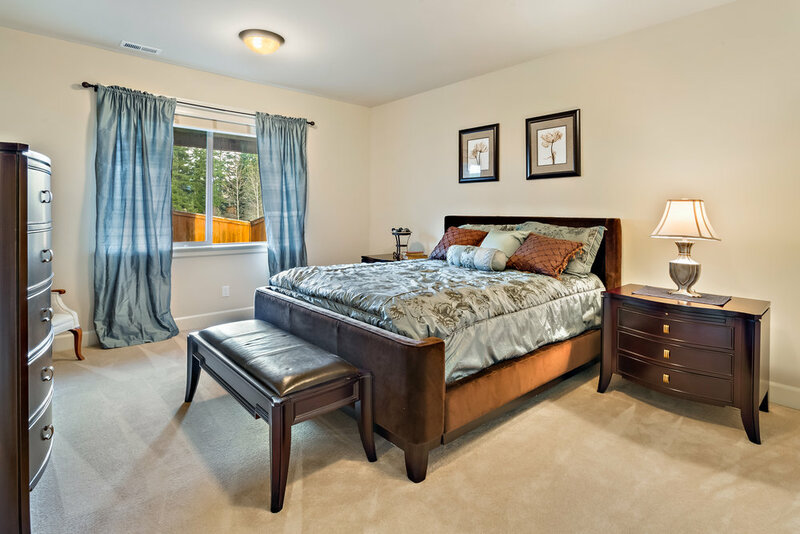 This meticulously maintained residence is built by Sierra Homes in the Windstone community in 2006. Offering classic Federal style detailing with a palette of native Northwest materials that includes natural stone and shingled siding, the home presents a timelessly elegant façade that is impressive, yet comfortable and inviting. With over 4100 square feet of luxurious living space, and 4 bedrooms and 4 baths arranged around a flowing great room floor plan, this is the ideal residence for those who seek ample space, everyday comfort and a modicum of opulence in a gorgeous natural setting. The home is entered via a gracious tiled and wainscoted foyer that opens into a two-story great room with double height windows overlooking the back yard and forest in the distance. A spacious and well-appointed office off the entry affords privacy and elegant details that include dark wood wainscoting and a tray ceiling, while a beautifully crafted wrought iron staircase leads upstairs. Hardwood floors run throughout the main level, and are complimented by custom cherry casework, intricate millwork and recessed and coffered ceilings to convey a sense of grandeur and provenance in every area. perfect for weeknight meals and morning coffee. The first floor is rounded out by a convenient powder room that is optimized as a ¾ bath. Upstairs, the main staircase lands in a cozy sitting area that serves as the entryway to the three second floor bedrooms. The opulent master suite is flooded with light by oversized windows that overlook the grounds and surrounding landscape, and includes a sizeable sitting area and two walk-in closets. The bath is a wonderful spa-like retreat, with separate vanities, a huge jetted two-person soaking tub, walk-in shower and private lavatory, all surrounded by high-end tile and wood finishes. Two additional bedrooms share a large full bath to complete this private upper level. 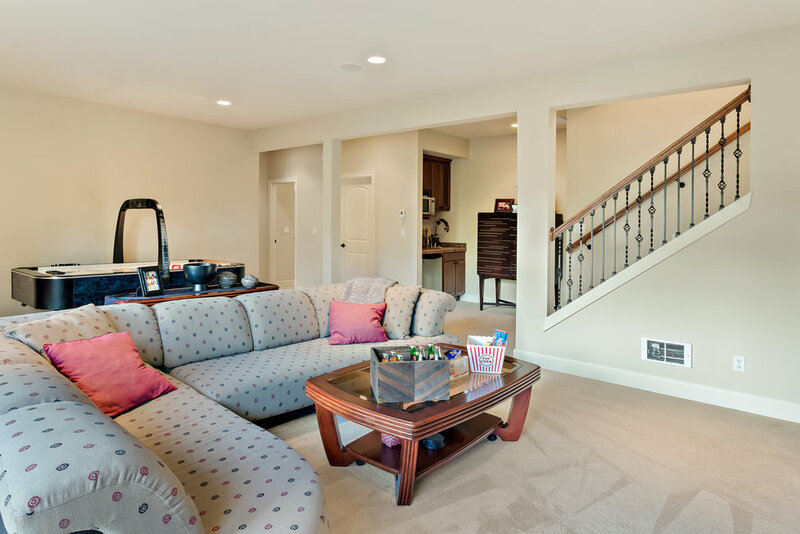 A gracious staircase leads down to a comfortable family room with easy access to the side yard and a handy kitchenette with microwave, refrigeration and sink for easy game-day entertaining. A full guest suite resides on this level, making it an ideal getaway for long-term visitors, extended family or live-in help, while a utility room provides out of the way laundry and storage. 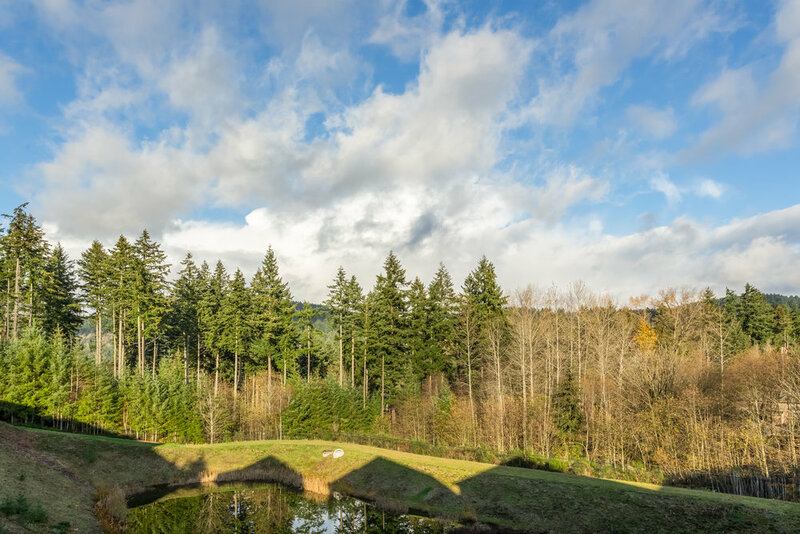 This is a beautifully designed and crafted home in one of the booming Renton area’s most desirable residential developments. It is tastefully appointed and stylistically compatible with a wide range of décor, and features the great and rare benefit of a private and autonomous lower level. With convenient access to the Northwest tech corridor, downtown Seattle, Boeing and all of the entertainment and outdoor recreation for which the region is know, it stands as a spacious and elegant solution for those who seek urban amenities in concert with natural splendor.